The ultimate guide to Seefeld ski holidays in 2019 & 2020. Perhaps the best cross-country ski destination in the world, this Nordic sporting village is famous for hosting various world-class competitions including the Winter Olympics. With a goldmine of different activities on and off the snow and regular events throughout the season, there’s never a dull moment during a stay in Seefeld. 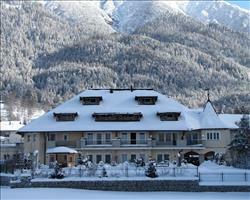 Seefeld is a fairly large, laid-back and traditionally Austrian village in the Innsbruck Valley of Tirol. Its history goes far back, as evidenced by the charming village churches - one of which was built in the 13th Century. Nowadays there are modern facilities and an abundance of luxury hotels with gourmet restaurants and swanky bars to be found here. 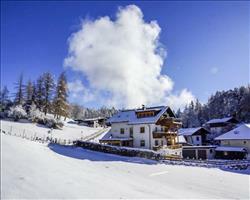 Skiers and non-skiers alike will love the bundle of activities, events and attractions in this stunningly scenic area. With a whopping 279km of cross-country skiing trails for different abilities, the area is renowned as top destination for Nordic sports, especially considering it’s been the official host for events including the 1964 and 1976 Winter Olympics and first Winter Youth Olympic Games in 2012. Cross-country is brilliant form of exercise that works more muscles and burns more calories than simply shooting down a piste – the fantastic sights you’ll see on the journey make it all worth it. You could even give Biathlon a go and combine the cross-country with a bit of state-of-the-art rifle shooting. The 48km ski area is relatively small in comparison to other resorts, but Seefeld’s wealth of activities mean there’s always something to keep visitors busy on or off the snow. Amongst other activities, soak in the scenery on a winter walk along 142km of clear and gritted paths or go tobogganing. You can also have a round of indoor golf, visit the cinema or bowling alley, go for a swim or pamper yourself in one of the relaxing wellness centres. Bag yourself an appropriately titled ‘Happy Ski Card’ and you’ll have access to downhill skiing over Bergbahnen Rosshütte, Gschwandtkopf, Geigenbühel and Birkenlift that make up the area. If you’re thinking of cross-country skiing around the expansive ‘Olympiaregion’ you can purchase a ‘Guest Card’ which is usually really cheap! View our detailed Seefeld snow forecast or snow report and see all live webcams, piste maps, road and travel maps and lift pass prices. For a picture of historic snow conditions see the snow depths month by month with our Seefeld snow history. Downhill skiing is mostly split between lifts up the Rosshütte and the Gschwandtkopf which are accessible by car or ski buses, but if there’s one thing everyone can appreciate on or off the piste it will be the gorgeous views across the frosty woodland range. There’s a reserved nursery area further down the village in Geigenbühel and another at the Birkenlifte. Beginners have a good few runs to pick from up the mountain – the Gschwandtkopf is the best area with wide gentle blues careering down from the summit. The Rosshütte area has some blues as well as more challenging runs for intermediates and experts. Advanced skiers can find the black runs down from the Seefelder Jock peak at 2064m. Snowboarders will appreciate the well-groomed runs as well as the jumps and rails at the Crazy-Hole snowpark - the Nordic Competence Centre also features two jumps worth testing out. There are some interesting off-piste opportunities over the Rosshütte - hire a guide for the best experience of the powder. Night skiing is possible here too with a 3km long floodlit blue run featuring modern chairlifts with bubble shields and lovely heated leather seats. Have a go at skiing like James Bond down the SkiMovie run which films you on the way down with the footage ready to be downloaded and shared with friends and family. Of course, skiing opportunities are vastly extended for those that fancy giving cross-country a go. There’s 279km worth of tracks to cover between 5 villages that make up the ‘Olympiaregion’, which suit different abilities from beginners to pro’s. 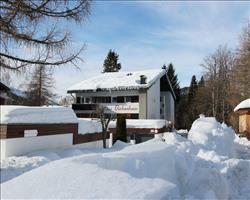 Look out for Seefeld’s specific cross-country ski school which offers professional equipment and expert tuition. The great thing about cross country is that you get to cover loads of terrain, get a really good workout and revel in the fantastic scenery. The Ski-Alm at the bottom of the Rosshütte is the most popular place to kick off an evening of après. For a classy sherry together after a day on the slopes head into the Hotel Klosterbräu’s Piano Bar and relax by the fire. Inside the Fundisco you can find the Britannia pub with darts, billiards and pinball machines. Later on the Jeep discothèque opens for some thumping techno late into the evening. The Fledermaus is another recommended club known for its swish cocktails. For a meal on the mountain, the Reitherjoch Alm is in a wonderful location up the Härmelekopf – try their special sweet Austrian pancakes. For some traditional Tyrolean cuisine or pizza/pasta specialties we recommend the Seefelder Stube found in the centre. The Strandperle is good for fine dining with a wide variety of international dishes – warm up with some goulash and a fine red wine. Nanni's Café is ideal for a coffee break or stopping for some afternoon tea and cake. If you just fancy a great pizza, Il Sole Trattoria Pizzeria is one smashing Italian option. There are approximately 142km worth of cleared and salted walking paths, so you don’t need to be on cross-country skis to make your way around the gorgeous scenery. Seefeld has an excellent ice rink for skating or curling and you’ll find some natural toboggan runs including one at the Reitherjoch-Alm. Indoors, you can choose between a cinema and bowling alley. 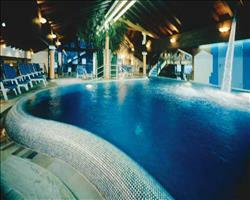 The Olympia Sport Centre has a big swimming pool with a massive slide and wellness facilities. Brush up on the skiing history of the village in the Olympic & nostalgia exhibition, or ride an inflatable snow raft together down the Geigenbühel! 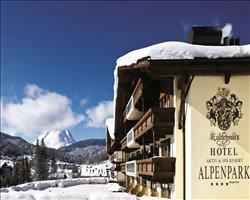 When is the best time to ski Seefeld? At 1200-2064m altitude, peak conditions are usually found around January and February when the snow has had time to build up - records show snowfall and depths have been at their best at this time of year. Towards the end of January in past years, the village has hosted the Seefeld Snow Festival, when countless figures carved out of snow and ice decorate the region, wild parties are thrown and there are live music performances in the centre. Children’s activities are held in the afternoon and fireworks finish the event with a bang – if you like the sound of this, check out when the Festival is on this year and time your travel to suit! The great thing about Seefeld is that even if the snow isn’t quite up to scratch, there’s so much else do besides skiing and cross-country that you won’t be left at a loose end! Get yourself a breath of fresh mountain air on an inspiring winter walk along the gritted mountain paths. The delightful scenery and pure tranquillity of the mountains is truly inspiring and good for the soul. You can unwind with the extensive sauna features of the Olympia Sport Centre, go tobogganing down a natural run or try your hand at curling, bowling or indoor golf! Seefeld is known as a good family resort thanks to its calm atmosphere, child-friendly accommodation and slopes suited especially to beginners and intermediates. The Family & Spa Resort Alpenpark is a great choice for families in an excellent location, just 400m from the nursery slopes. 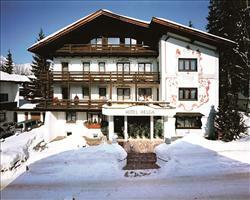 Another family favourite is Hotel Kaltschmid, a short 5 minute walk away from the Geigenbühel beginners' ski lift. Nursery slopes are situated in reserved little areas below the village, where ski schools provide lessons on the gentle runs. English-speaking instructors teach kids in groups or privately with fun techniques. Teens and adults of different abilities can book group or private lessons with the ski schools as well. Most of the slopes are friendly blues, perfect for those looking to develop their skills or build their confidence on some wide runs. There is a small selection of pleasant red and blacks runs as well, to keep more experienced family members entertained here. For a fun afternoon, stop for lunch up the mountain at the Reitherjoch-Alm one day and try out the natural toboggan run that’s next to it. There’s also an outdoor ice rink in the village for some leisurely ice skating if you’re legs haven’t had enough of a work out! The Olympia Sports Centre is fantastic if you want to spend some quality time indoors– the pools here are great for families, with separate children’s and toddler pools and a 140-metre white water slide which always goes down well with slightly older children. Grownups can always take some time out to make use of the extensive two-story sauna with themed tranquillity rooms and relaxation pools. Our large hotels are great for bigger groups in Seefeld – more rooms means better chances of vacancies in case you have any stragglers wanting to tag along at the last minute! 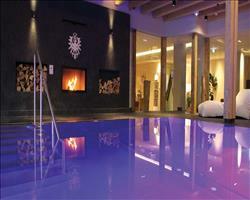 The Aktiv and Spa Resort Alpenpark is a large property with excellent facilities only 300m from the resort centre. 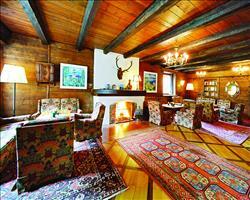 The Hotel Schönruh is another large option in the same area with a charming look about it and cosy interiors. 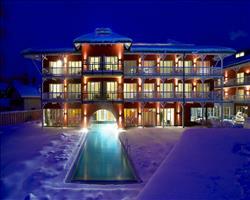 For Tyrolean style the Hotel Helga is a gem in a brilliant location just 100m from the nearest ski lift. Fine diners might be interested in the award winning Hotel Bergresort, which is in an idyllic location amongst natural woodland on the outskirts of the village. Seefeld is a great ski destination especially for early beginners and intermediates, with more than enough to keep non-skiers entertained off the slopes as well. The resort is good for first-timers with reserved nursery areas - the majority of slopes are gentle blue runs that will keep novices more than happy up the mountain. For more experienced snow lovers, there are some off piste opportunities to be seized and leisurely black and red runs to try out locally. There’s always the chance to spread your wings and give cross-country skiing a go here - with 279km of professionally prepared trails designed for all abilities it’s one of the best places in the world to give it a go. Hire an instructor from the specialist cross-country school one day for a private group lesson to see what it’s all about - since there are no ski lifts it’s usually very cheap too! Off the slopes there’s a wealth of things to get up to. Perhaps the best feature besides the luxury facilities in many of the hotels is the Olympia Sports Centre - have a spa day or enjoy the range of swimming pools if you fancy some exercise. You’ll also find an ice rink and a natural toboggan run as well as roughly 142km of lovely winter walking trails to admire the stunning scenery. There are some great restaurants and bars to choose between. Try the sweet Austrian pancakes at the Reitherjoch Alm up the Härmelekopf, or grab a table at Sailer’s in the village for Tyrolean specialties and pizzas. At the foot of the slopes, the Ski-Alm is the most popular joint for some après ski. Yannick's is another cool bar with a real chilled-out vibe. When it comes to nights out, there are 3 clubs– the Fledermaus and Nightstar pump out some techno tunes, or the Fundisco Jeep is popular for letting it all go and having a good dance. "Cross country skiing in Seefeld"
We’ve been to Seefeld a few times now. It’s ideal for cross country skiing – there are so many different runs to do; hundreds of kilometres of them from beginner runs to black ones. You can also take the bus to other nearby towns like Leutasch and Scharnitz for more cross country over there. Some people we met there were going walking which is supposed to be very good around Seefeld. If there’s snow the cross country is perfect. The snow was just good enough this year because it had snowed before we arrived, while last time and the time before we’ve had more snow than you could want! If there isn’t enough snow there are other things to do: They had the Olympics here some time ago so there’s an outdoor skating rink, curling lanes etc and also big sports complex with a pool. The town has its own railway station which goes into Innsbruck so you can do trips out to there (and with Innsbruck being quite close, the airport transfers at the beginning and end of the week only take about 40 minutes). As a ski resort it’s quite cheap – there are a couple of really good supermarkets which are ideal if you’re self-catering and eating/drinking out is varied. "A trendy Austrian resort, great access to Innsbruck"
We had a great holiday, we visited towards the end of the season so had a bit of snow, sun and rain. We enjoyed skiing late in the season as we very often had the slopes to ourselves. There are 3 different ski areas, with a bus service depending on where you fancied skiing. Seefeld itself is quite a trendy, upmarket resort with quite a lot of posh shops. Because of the time of year we visited it was quite quiet, but I’d imagine it would be bouncing in high season. It’s very quiet on the après ski front but there are other things to do like the big sports centre. They were filming Eddie the Eagle while we were here which was interesting, the resort has a big Alpine Centre where they host the world championships and they were using the ski jumps. I would definitely recommend getting the train into Innsbruck – it only takes 35 minutes and the trains are super-efficient, always leaving exactly when they say they will. Once the train pulls into Innsbruck it’s only a short walk into the old town and there’s a lot to see and do. It’s also only a 40 minute transfer from the airport which is great. "Non skier holiday in Seefeld"
What I liked about Seefeld is that there’s always stuff going on. It also snowed a lot (visited in January) which is what you want in the winter! As a non-skier, I went down to the tourist board and got a free bus ticket for the week. There’s a big ice rink with a swimming pool centre behind it, so while you’re sat outside watching people curling on the rink, behind them there are people steaming in the swimming centre looking back at you – it was very surreal! Innsbruck is only half an hour way by train, and tickets are really cheap (about 10 euros), and Munich was only 2 hours away. Being Austria, the trains are always on time unlike we have here in the UK! It’s a traditional Austrian village in the valley, half an hour from Innsbruck. Every way you look around there are mountains covered in snow, so it’s very lovely with picture postcard scenery. "Amazing views, best for inter's and novice"
The snow was very good at the end of Feb, pretty much perfect until the last day when it got slushy all over the area because it was quite warm. The ski area is quite small but fine for what we wanted and not to busy with no lift queues. There were also lots of good cafes which is always nice. I was here with a friend and we’re both good skiers – there’s a black run from the top which is really nice - amazing views and it’s not too difficult. The area is probably best for beginners and intermediates or people who are refreshing their skiing – I was happy to do the same areas again and again but there’s not so much for really good skiers. We had plenty to do in the resort, we went to the bars and restaurants and there’s also stuff like ice skating and curling. The swimming pool was really good with lots of slides and a sauna (but we didn’t use this as you had to pay extra). The bars were quite lively and the restaurants seemed to have a good standard of traditional Austrian food but we only ate stuff like crepes as we had main meals in the hotel. The Olympics were there so there’s ski jumping which is quite cool and there seemed to be a lot of cross country skiing although we didn’t do any. 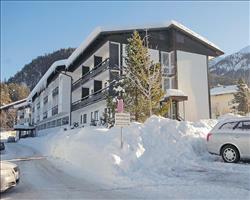 It’s a very convenient resort – the transfer from Innsbruck airport was really quick and only took half an hour, so it would be good if you wanted to squeeze in a weekend of skiing. Seefeld is quite a quiet resort – we went at the end of the season so I guess it would be busier early on, but if you wanted to go somewhere lively you’d probably prefer somewhere else... There wasn’t anyone our age there and we ended up befriending a lot of older people! The quiet aspect of the resort suited us at the time as I’d never skied before and it was nice that the slopes weren’t busy (just been back from somewhere else at half term which was a totally different experience). We did ski school for 3 or 4 days and were very happy with the tuition. The skiing here is quite high up so we still had lots of snow even though it was late in the season, it snowed a couple of times during the week so they didn’t have to use any fake snow which was good! It was also nice and warm and sunny so we got the best of both worlds. "One of the best holidays I’ve ever had!" I’ve been to plenty of resorts in Austria and don’t usually go back to the same place twice but I would go back here. The skiing isn’t really ideal for advanced skiers as there’s not enough variety. It’s probably best for beginners and intermediates. It was late season so part of the area was shut but there was certainly enough for me. They did look after the slopes well considering it was sunny all week and there wasn’t any snow. The village has plenty of bars and restaurants. It was really quiet, I couldn’t quite believe it! They said that the previous week had been busier but I liked it. I didn’t get a chance to go to the Olympic swimming pool but I had one afternoon off where I took the train to the next village up (Seefeld has its own train station) which is very nice. 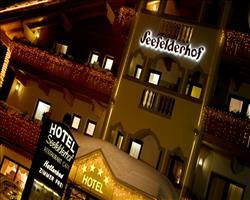 Seefeld is also less than an hour’s transfer from the airport – there are so many pluses to this resort! "Great for XC and exploring by train"
First time I’d been to a place like this and we had a great time. The skiing / piste area isn’t brilliant but for Nordic skiing it’s absolutely perfect. We spent a day doing that and enjoyed it. It’s a great location as the train line goes through. One way goes into Germany and the other way takes you into Innsbruck. We went into Germany one day (took 30-60 minutes) and then took the cog railway up to Germany’s highest mountain, Zugspitz. We also went to Mittenwald which is very pretty. Seefeld isn’t an old fashioned Austrian town, it was part of the 1976 Olympics so everything is fairly modern for that time. They’re holding the Nordic World Ski championships in a couple of years’ time and there are a lot of big 4 and 5 star hotels. It was an active week! For walking and Nordic skiing it would be a 5/5, but for skiing a 3/5. Seefeld is quite quiet although it was near the end of the season so that might have been why there wasn’t a huge amount going on. I stayed here as a big group with some teens and 20 somethings who would have liked a night out but everywhere was shut by 11. The skiing catered to all of us and there was some lovely walking and langlaufen and we enjoyed some really nice food in the mountain huts. It’s a quiet resort. 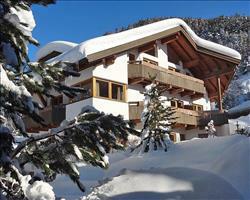 The ski area is limited, prefect for beginners and families. We are quite efficient boarders and we flew round the whole resort in one morning. I don’t think there are any black runs, it’s definitely an easier resort. The pistes were quite empty and there were no queues which was nice. We had lunch in the mountain huts which were cheap and the food was good – all regional dishes like sausages, goulash, soups. Fantastic to have lower prices than France. We did get a bit tired of doing the same runs though. We would probably go back if the price for the holiday was right. We had an amazing time here. Family members had recommended it to us and we thought it was great, couldn’t fault it. The village centre is nice with loads of shops, restaurants and bars. 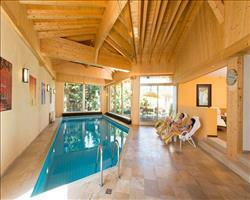 For accommodation, Alpenpark family resort is amazing and I’ve recommended it to everyone I know with children! 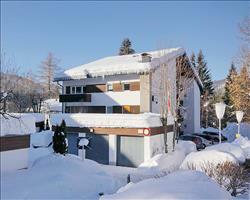 Seefeld is ideal destination for families with beginner and intermediate skiers. Only regret is that we didn't stay there for longer.